Rhassoul Clay is rich in potassium and calcium which make it a very beneficial cosmetic clay. This clay is can be used on oily skin. It works great in face masks, face scrubs and facial and body soaps and bath fizzies! DIRECTIONS: Incorporate into formula, amount as desired. Common use levels are 1 teaspoon to 1 tablespoon per pound of base. If making a face mask, the common use level is 50-75%. Test your final product to insure optimal performance. COMMENTS: a must have in my foot soaps! COMMENTS: I bought this in 100 lb. bulk which arrived in a barrel (tough cardboard). The clay was in a large plastic bag inside the barrel and is a beautiful fine powder, kinda brown mustard...not as red as I was hoping for, but still beautiful. Does a great job in mp soap and in facial products. Will buy again. COMMENTS: I'm very happy with this clay. It's great quality and a great price. I use it in soaps and it's just perfect. COMMENTS: This is a very nice clay for facemasks and CP soap bars. COMMENTS: Love this to add to other clay mixes for hair. COMMENTS: I added this to my neem oil acne bar and it seems to have worked very well. Great for oily skin. COMMENTS: We use this clay in our face mask recipe. Very easy to work with. COMMENTS: Wonderful clay I mix into a facial clay scrub my customer's love it. Leaves you frelingg detoxed yet moisturized. COMMENTS: My husband has really oily skin so I made him a face mask using this clay. He really seemed to like it and it helped him with the oils. COMMENTS: Love the clay in my acne soap. Skin feels clean. COMMENTS: I love this clay, it leaves skin smooth and pulls out all the yucky stuff! It does not irritate skin. I use it in my clay mask! COMMENTS: I was surprised to find it grainy versus soft and powdery but if you don't like grainy (it is not too grainy/rough) then just grind it down to powder. Lovely product - worked well in my soaps w/ no issues. Have not used it in anything but soap and butter. The powder worked well in my butter and added a nice quality I can not quite put my finger on... a bit thicker and maybe a bit more slip. Butter now leave a silkier feel to skin, softer, moisturized without feeling wet, greasy or oily. Customers were impressed with products containing Rhassoul clay and I sold out the first day. Will order again - but not soon as a very little goes a long way. Loving this product and can see it in our permanent line. COMMENTS: This is one of my favorite clays. Great for the skin. The clay is good quality and nice powder. COMMENTS: Great for clay masks and bath bombs! COMMENTS: Makes a great facial mask. COMMENTS: This clay is good for normal to dry skin! You can really see a difference after just one use. My customers love my mask made with this clay. Love it! Awesome price! COMMENTS: Love making bath bombs, soaps and face masks with this clay. Nice product. COMMENTS: I use this clay in my facial line. Great clay! COMMENTS: I'm a sucker for experimenting with all types of clay around the globe and I must brag about this BEAUTY. It has the perfect slip, slightly grainy, yet fine texture for exfoliation , mixes easily with plain water, and removes, without a pull or drag. It tingles after 5 minutes, letting you know it's drawing out toxins,,,,yet leaves skin feeling fresh and clean without being tight and itchy. Skin is noticeably toned and pores are reduced without any redness or irritation. COMMENTS: A big hit with my facial masks. Very good on dry and sensitive skin. COMMENTS: This makes a great facial mask for oily skin, leaves face feeling very clean and smooth when washed off. COMMENTS: Wanted to make something comparable to a store brand hair treatment. Using this clay with shea butter and coconut milk gave me an awesome hair mask. COMMENTS: It colors perfectly in the soap and doesn't have much texture to it, so it's nice for patterns. No issues with it in the soap! COMMENTS: A nice fine mineral clay for facial masks. My skin thanks you! COMMENTS: Perfect for my soaps, face, and hair masks. Lovely, powdery texture. COMMENTS: Love this clay, I used it as a facial mask . And just make soap with it came out a nice natural color. Will continue to order. COMMENTS: This is wonderful in cold process soap. Great for oily and/or sensitive skin. Sells well! COMMENTS: I use this clay in a clay soap scrub, a face mask, and a intense hair conditioner. Its a wonderful additive to set your product apart from the rest. COMMENTS: My daughter asked me to try and make a bar to mimic one she bought at a show. It has Bergamont & a few other additives. So, here goes. i know it will turn out great. Thank you Wholesale for great products and great pricing! COMMENTS: I've been looking for ingredients with health benefits for a co-worker who suffers from low-potassium, saw this clay and read its information and the reviews posted. I am so glad I ordered it. I used it in a batch of bath fizzies with fractionated coconut oil and an Amaretto Flavor Oil and it is absolutely AWESOME. My fizzies came out smooth and perfect, hardened great and are absolutely BEAUTIFUL. Definitely a very wise investment. And just one tablespoon of this clay made the fizzies a gorgeous manly tan. I could not be more pleased and will be ordering this product A LOT! COMMENTS: I love how this feels in face masks and how it leaves my skin! I also use it in soaps and people will use those soaps for shaving or face soap and really enjoy them. It is all in all a great clay. COMMENTS: Love the way this clay makes my skin feel after using it! COMMENTS: At first it looked muddy when added at trace but as the CP soap cured the color developed and it beautiful! Definitely my new supplier of Rhassoul! • Better container that would pour. COMMENTS: I use this mostly to color my cold process soaps (I just used it successfully in pumpkin soap). The antioxidant properties are a plus. COMMENTS: I have enjoyed using this on my face as a mask & blended in the aloe/olive soap.Though I found it a bit tricky to blend,I liked the result.Be sure if u use it in this base to let it sit out to cure a few days. "Awesome in my clay masks." COMMENTS: I have used this in my clay masks and what can I say but it really is awesome and the clay masks are so easy to make. I used the cool cucumber recipe and really you could use any scent you have for this and this clay is really good for oily to sensitive skin! COMMENTS: This works very well in my dry shampoos! Great price and I recommend! I'd love to try it in some facial care products as well! COMMENTS: love this product for it's many benefits,...makes excellent finish product! COMMENTS: This colorant doesn't significantly color the soap. I will still use it but in smaller amounts. COMMENTS: This Rhassoul Clay is excellent. It has so many benefits for skin. I love how it has such a rich vibrant color, and silky texture. I purchased it to use in face masks. It is expensive so I use it as an additive instead of a base. I recommend this product and will be re-ordering it when I run out. COMMENTS: This Rhassoul clay comes conveniently packaged in a standup bag with a good portion for the price! It's perfect for my brightening soaps and facial masks! Will be ordering again soon for sure! COMMENTS: Some people experience sensitivity to an assorment of natural clays. This particular clay, in my opinion, is more hypoallergenic than it's brother and sister clays. COMMENTS: I added some to a white base, and it turned it a nice tan color. However, when I was washing some of the base off of my fingers, I noticed that it gave the soap a nice "slippery" feel. I think it would be good in a shave soap. COMMENTS: I love this clay for just that little extra something for my facial mask. The detoxifying qualities are great to have and customers seem to like that as well. COMMENTS: Love the texture and feel this adds to my masks. Works well. COMMENTS: This is an excellent addition to my face scrub. I like the added quality that it is detoxifying for the skin. It works perfect in my face scrub and leaves my skin feeling clean and soft. 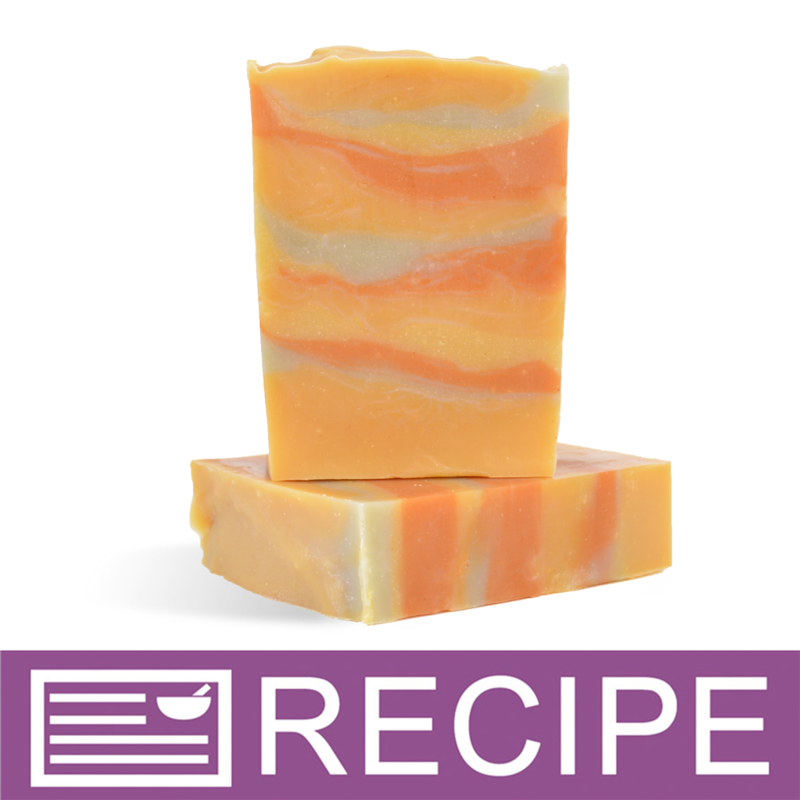 COMMENTS: I use in my soaps for coloring and just to give it that extra touch. I also love this by itself or included in face masks. COMMENTS: This clay works great for oily/combination skin. I originally purchased it for a black drawing salve recipe, but have since found many other uses for it. I mix some into my shampoo & condition along with EO's to cleanse my scalp. I've found many great facial cleanser & mask recipes that work well for my skin. COMMENTS: This clay has a very nice mustard like tint in soaps. It is very pretty and feels great on the skin. COMMENTS: I use this in facial masks. I love how it can be used on oily skin and sensitive skin and still be beneficial with all the added minerals. COMMENTS: I have used the Rhassoul body mask from LUSH for a number of years - was kinda sad when it was discontinued. My daughter and I love making bath fizzies and other bath/body care items - so we purchased this and BAM - a fraction of the cost - end result was better than LUSH. I have used this (compounded) on face - very very silky smooth and feel deep clean without drying! Very happy we tried it - WSP has speedy quick ordering time - also enjoy looking at some new things try here!!! COMMENTS: I use this clay in my facial masks for dry skin, customers love it. Cleans and tightens their skin beautifully. COMMENTS: A little goes a long way. I use this in soap and masks. "Where in the U.S. is this Rhassoul Clay sourced? Which state? Thank you." Staff Answer The Rhassoul Clay is mined in the state of Indiana. "Can I use this in M&P? If so, do I mix it with water or glycerin or FO? And what max rate?" Staff Answer Rhassoul Clay can be mixed into MP soap. We recommend either adding to a small amount of melted soap and mixing with a mini-mixer then blend into larger batch of MP. You can also mix in with your fragrance oil. We would recommend adding 1-2% to start. "What is its oil absorbing qualities?" Staff Answer This is considered to have strong oil absorbing properties. "What kind of texture does it have when mixed with water? Does it stay smooth or become clumpy?" Rhassoul Clay has a fine texture that easily mixes with water, and has a higher ratio of silica, magnesium, potassium, calcium, and other trace minerals compared to other clays! Its great for masks, shampoos and cleansers! I mixes smoothly. Sometimes I add the water, stir, and come back to it 15 minutes later to stir again to help make it easier to get a smooth texture. 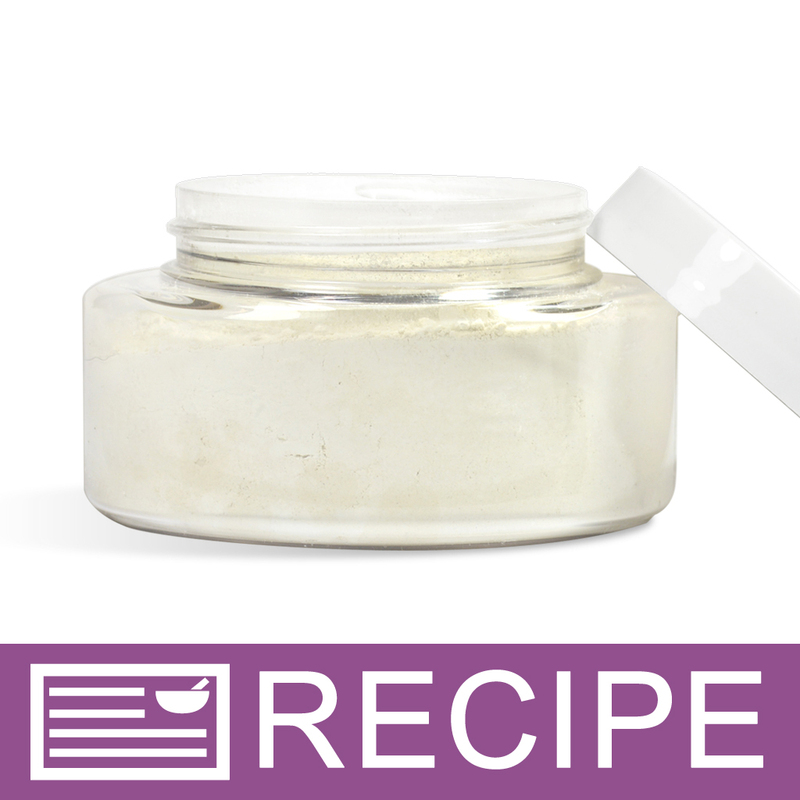 "I want to use this clay as the main ingredient in a mask I'm making but I don't want to use water what would I use instead to help prevent clumping?" Wanting to know your reasoning for not using water would help but, really, just about any liquid that would be beneficial or neutral to skin would be fine. "Would this work well in shower gel?" Staff Answer This would need to be tested as too much may clump and clog bottle opening. Best used in facial masks and scrubs. Apart from clumping, adding a clay to a hydrous product really challenges the preservative system. You could be growing bacteria without knowing it.